Bing Shopping Campaigns are a simple way for you to organize, manage, bid and report on Product Ads. To understand shopping campaigns, first make sure you understand how Product Ads are created from the content of your Merchant Center catalogs, and include custom images, promotional text, pricing, and seller details. Create a shopping campaign from scratch. Import your shopping campaign from Google Ads. Run your new shopping campaign in parallel with your existing Product Ad campaign. Manage Bing Ads Shopping in Bing Ads Editor. If you are new to Bing Ads Product Ads or Google shopping campaigns, you'll need to create a shopping campaign from scratch. Product Ads, which are created using shopping campaigns, are a great way to give your ads more space on the search results page and make those ads more compelling to potential customers. Using Product Ads, you can enhance your ads with real-time, specific product information from your Bing Merchant Center store catalog. Complete each of the following steps to start using Product Ads. First, go to the Bing Webmaster Tools URL: http://www.bing.com/toolbox/webmaster and verify that you own your URL on the Bing Webmaster Tools website. Sign in using the same Microsoft account that you use to sign in to Bing Ads. Click Profile and then fill out the About Me, Contact Preference, and Alert Preference sections. Under My Sites, enter your URL and click Add. Enter your URL info. Complete one of the three options listed and then click Verify. You will see the Dashboard page if your URL is verified. To create a store, click Tools in the upper right corner. Click Bing Merchant Center. Click Create a store. Enter your store information. To upload your catalog, click Tools in the upper right corner. Click Bing Merchant Center. Click the store that you want to update. Click the Catalog Management tab. If you are creating your first catalog, enter your Catalog name. If you are creating additional catalogs, click Create Catalog and then enter your Catalog name. Submit your feed file. Your feed file is a text delimited file that has a different product item on each line. You create the text delimited file and then submit it to Bing Merchant Center. After you have created and (optionally) tested a corresponding feed file, it can be submitted to the associated catalog. There are three different ways to submit: manually; via FTP; or, automatically download from URL. Read more detailed information about uploading your catalog/product feed. 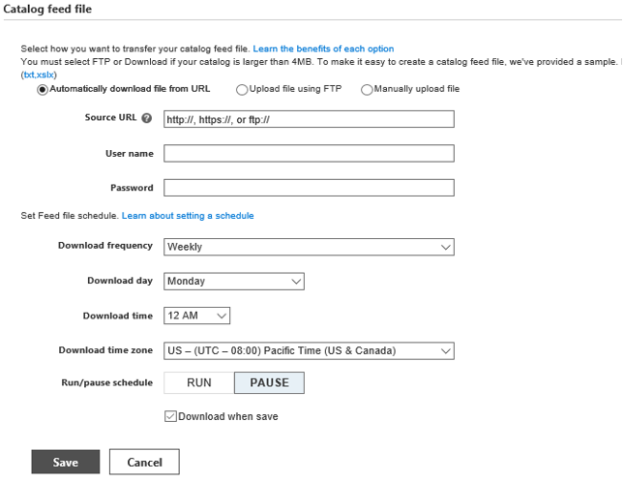 Bing Ads allows you to switch to the Content API for management of your feeds or to FTP easily. For example, you can use the Content API to get information and status updates on your products and then use that to build product groups. 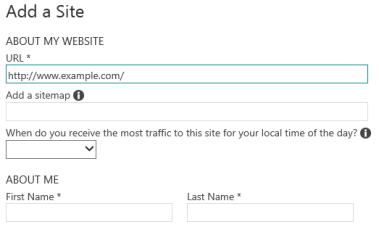 Bing Ads API allows you to update pricing and inventory throughout the day, and the FTP allows you to upload the entire data feed once a day. You can update frequently changing attributes like price and availability within one hour. You can upload a feed file if the feed file is smaller than 4MB. Get started by clicking the store name and then the Catalog settings tab. Click Create catalog. Enter the Catalog info. Enter the Catalog name, select the Location, and select the Catalog feed file type. You can select from three different feed types: Local product inventory, local product inventory update, and local product feed. Enter the Feed details. You can opt to Automatically download file from URL, upload file using FTP, or manually upload file. Click Save. Once you create your local products feed, you must submit your product information through Bing Merchant Center. Click the store name and then the Feed management tab. Click Create feed. Learn more about the required and optional attributes of a product feed. Your catalog expires after 30 days, which causes the products to stop publishing, so you need to update your feed file.Your catalog expires after 30 days, which causes the products to stop publishing, so you need to update your feed file. To keep your product information fresh, it is a good practice to upload your catalog daily. In Bing Ads, click Tools. Click Bing Merchant Center. Click the store that you want to update. Click Catalog Management tab. Click the catalog that you want to update. Click on the Catalog settings tab. Use one of the three methods to submit your feed file. Click Finish. 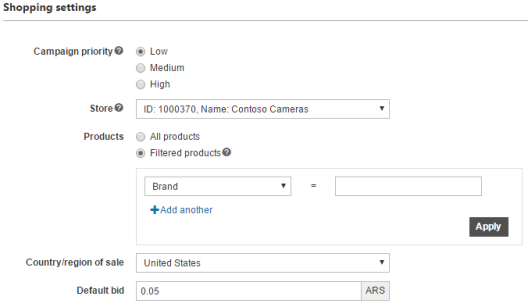 Bing Shopping supports the use of Google data feeds for Catalog feed files. This way merchants won’t have to redo the work already done for Google’s Product Listing Ads. All Google-specified attributes are accepted by Bing. Bing’s requirements for these fields accommodate Google’s requirements (such as min/max lengths) for parity across both merchant centers. However not all Google’s fields are used by Bing. Bing Merchant Center ignores those that are of no use at this time. Note: Bing does not support .bz2. Read more about acceptable Google feed file attributes. From the Campaign page, click Create Campaign, then click Shopping campaign. You will be prompted to add your product extensions and campaign targeting parameters. Determine how you want to structure your Bing Shopping campaigns based on your product catalogue – remember, you have ONE store. You can apply typical bid, targeting, advanced settings. For example, you may wish your Summer Sale campaign to only be applied geographically to southern regions having better weather. Or, you may still wish to adjust ad scheduling to show at particular times of day. In Campaign Settings, you can adjust the Time zone and Location, to specify when and where you want your ads to show or not to show. Note: Once you set the time zone, you cannot change it, but you can create a new campaign with a different time zone, and then import your current ads and keywords into the new campaign. If you already are using Google Ads’ Shopping Campaigns, you can import these campaigns into Bing Ads. This is an easy way to expand your online advertising reach. Shows how many entities were imported successfully and how many had errors. Click the ellipsis to see details. If you had errors, you will see a link to download the error file which you can review. Click Sign in to Google. Enter your Google sign-in information, click Sign in. Select the Google campaigns you want to import, then click Continue. Choose if you want to delete ad groups and campaigns from Bing Ads that you have already deleted from Google Ads under Cleanup. Once you remove these campaigns or ad groups from Bing Ads, any associated ads or keywords will also be deleted. Click Import or if you want to set a schedule, click Schedule. Review the Import summary to see what entities were newly added or updated, or couldn't be imported (skipped). If you want to review the details of the campaigns and make changes, click View imported campaigns. Read the full list of what does and doesn't get imported from Google Ads. Custom labels are fields associated with each product that you can use in any way you want. For example, custom labels can be used to identify each product as a bestseller, seasonal item, special offer or high-margin item. Custom labels can be particularly useful when creating product groups described below. You can create product groups based on brand, condition, or custom labels. Each ad group within a shopping campaign will be associated with a single product group. This allows you to create highly relevant ads for the items within that ad group. Learn more about how to use product groups. When you define the promotional text for an ad group, all ads within that group will use the same text. Campaign priority handles cases where the same Product Ad could be displayed from multiple campaigns, such as from your existing Product Ad campaign and your new shopping campaign. The ad from the campaign with the highest priority will take precedence over the same ads from other campaigns, regardless of bids. Generally, you want to ensure your shopping campaign has a higher priority than your Product Ads campaign. Product groups are used to specify which products from your Bing Merchant Center catalog should be included in a particular ad group. After you create a shopping campaign, Bing Ads creates a default ad group. That ad group includes a product group containing all of the products in your Bing Merchant Center catalog feed. However, you don't typically want an ad group to contain all products. With product groups you can narrow down that default group to a customized list of specific products. You can use the following attributes from your catalog feed to choose the specific products you want to include in any particular product group. You can use multiple attributes to narrow your group even further. For example, you can create a product group based on brand and condition. You can monitor your campaign with enhanced reporting created specifically for Bing Shopping Campaigns that look at impressions at the item level as well as the use of Share of Voice, a reporting metric type that will show your average cost-per-click against the benchmark bid. This will help you adjust your bid to ensure placement and impressions. Both can be created from the Reports page. You will be able save time managing the status and promotional text of your Product Ads in your Shopping Campaigns through Bing Ads Editor. This includes the creation of new campaigns as well as the management of product groups and Product Ads. 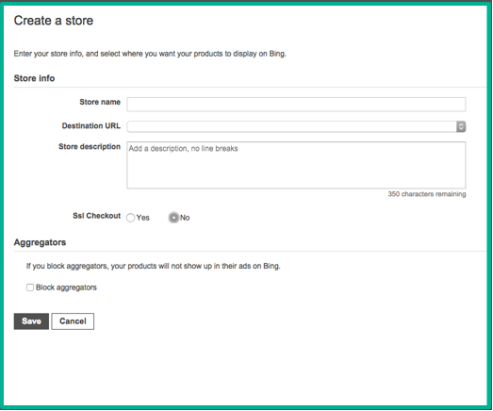 You will be able to create new Bing Shopping Campaigns, set the store ID, country and priority. Product group management matches Google Ad Words, allowing you to update product groups through Import or Make Multiple Changes. You can now manage the status and promotional text of the corresponding Product Ads. When setting up a new campaign, you can choose between Shopping or Search and Content campaign types. Besides updating a product group from Import or Make Multiple Changes, you can change attributes such as Type, Bid, and Destination URL directly from the edit pane. Note: Each product group requires a corresponding product ad in order for your ads to serve. 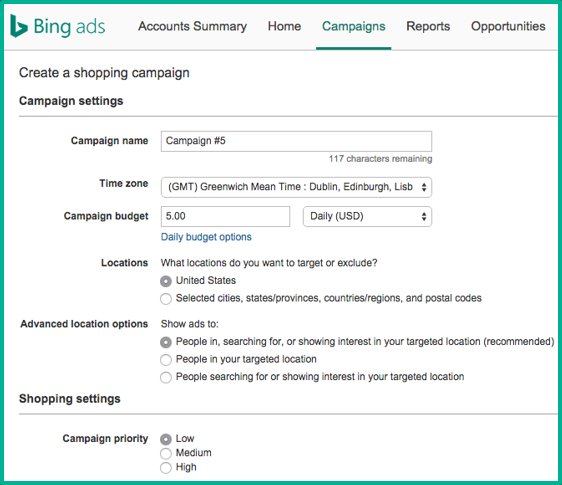 Bing Shopping Campaigns is designed to help you create, import, align, manage, and edit your Product Ads. It’s also meant to showcase retailers’ new, used or refurbished products with an image, price and company name. One of the most important things to remember when using shopping campaigns and product ads is to use the same strategies you're already familiar with for your other ads. Techniques such as setting appropriate targeting, using negative keywords and regular monitoring are still important. So as you set up your shopping campaigns, don't forget all those best practices you already know. Thanks for reading this training on Bing Shopping and Bing Product Ads. Continue your training or take the Bing Ads Accredited Professional exam to become accredited.